Classic antiques meet bold new style as the 12th annual Antiques at The Gardens returns to Birmingham Botanical Gardens October 4-7, 2018. Don’t miss these four days filled with events designed to fuel inspiration and creativity. From presentations and book signings to workshops and curated retail spaces, the event offers opportunities for attendees to engage with some of the country’s top designers, writers, floral designers, architects, and tastemakers. Thursday, October 4 | 10:30 a.m. – 12:30 p.m.
Bettie Bearden Pardee is the author of Private Newport: At Home and in the Garden and Living Newport: Houses, People, Style, as well as editor of PrivateNewport.com, a luxury lifestyle blog. Mimi Brown began her career in Birmingham in floral design and event production. After arriving in New York City in 2009, she transitioned to fashion public relations and worked with leading designer Zac Posen. She continues to work on special events in the industry. Mary Hayward Spotswood Eudailey is a Birmingham native. After graduating from Ole Miss, she moved to New York to work at One Kings Lane. She’s currently a consultant for the west coast vintage furniture and accessories purveyor, Chairish. Catherine B. Jones is an abstract artist who employs a variety of mediums to create her fairly minimalistic pieces. Based in Birmingham, Catherine has had her pieces featured in Coastal Living, domino, and other national publications. Margaret Zainey Roux is a New Orleans-based lifestyle journalist and stylist. 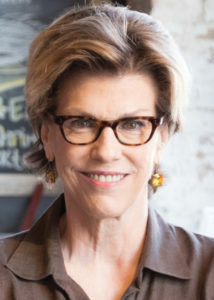 She serves as a contributing editor for Traditional Home, Southern Home, and Flower magazine. Saturday, October 6 | 9 a.m. – 10 a.m.
Meg Braff was raised in Tupelo, Mississippi, before her design career took her north. She owns a shop in Locust Valley, New York—Meg Braff Antiques and Decoration—and has published a book, The Decorated Home: Living with Style and Joy, from Rizzoli. Her work has been featured in House Beautiful, Traditional Home, Coastal Living, Southern Living, and Hamptons Cottages & Gardens. The work of Suzanne Kasler has been published in Architectural Digest, Elle Decor, House Beautiful, Traditional Home, and Veranda. She has been named to Architectural Digest’s AD100 and Elle Décor’s A-List. Her award-winning interiors have been captured in two books from Rizzoli, Inspired Interiors and Timeless Style. Her third book from Rizzoli will be published this fall. Since opening his firm in 2010, Nick Olsen has become known for creating comfortable interiors that nod to the past while maintaining a sense of humor and whimsy. Never one to shy from bold color, pattern, or an overscale gesture, he mixes antiques and modern artwork with signature style. His work has been featured in domino, Architectural Digest, Veranda, House Beautiful, British Homes & Gardens, The Wall Street Journal, and Traditional Home. He is on the Elle Decor A-List. Keith Summerour leads Summerour Architects. With his dedicated staff, he has been designing beautiful homes for 20 years. Keith is an Alabama native, now based in Atlanta, Georgia. His work has been featured in Architectural Digest, Garden & Gun, and Coastal Living. Sunday, October 7 | 11:30 a.m. – 12:30 p.m.
Julia Reed, a native of the Mississippi Delta who now resides in New Orleans, is a contributing editor at Elle Décor and Garden & Gun magazine, where she writes a regular column, “The High & Low.” She also contributes to The Wall Street Journal’s WSJ Magazine and writes a bimonthly column on entertaining for Southern Living. She is the author of six books. Her most recent book, South Toward Home: Adventures and Misadventures in My Native Land, was published in July. Sunday, October 7 | 1:30 p.m. – 2:30 p.m. NOTE: Tastemaker vignettes will be on display throughout the weekend of the show. Dallas-based interior designer Amy Berry combines her passion for creating beautiful homes with an intuitive understanding of her clients’ needs. She has worked on a variety of projects encompassing everything from traditional to contemporary. Since 1998, Blackjack Horticulture, Inc. has served residential and commercial clients throughout Birmingham. With 20 years of experience, Blackjack strives to achieve complete client satisfaction by building relationships and guaranteeing excellence, integrity, and reliability. 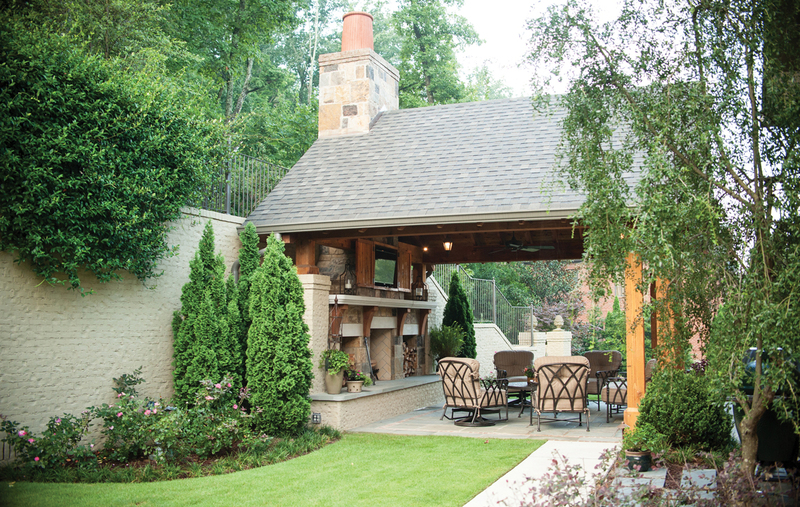 Birmingham-based designers Janie Jones and Elizabeth Miles of Hundley Hilton Interiors work with each individual client to create a unique story. They use family heirlooms, vintage and contemporary lighting, and custom furnishings with beautiful lines, color, texture, and pattern to create fun, livable interiors that honor the history of a structure and its location. The work of Sean Anderson reflects a blend of fresh and functional, classic and contemporary styles. Sean offers a just-right mix of old and new for a look that’s treasured and timeless. With residential and commercial clients throughout the southeast, he has had his work published in Elle Décor and Architectural Digest. Tippett Sease Baker Architecture, a residential architecture firm, was formed by friendship and a desire to create beautiful spaces. Chris Tippett, John Sease, and David Baker received their architectural degrees from Auburn University and later became business partners with Bobby McAlpine. During that time, the architects had projects published in Architectural Digest, Traditional Home, Veranda, the Los Angeles Times, House Beautiful, and Milieu. The trio currently has projects in California, Michigan, Florida, South Carolina, Georgia, Louisiana, Tennessee, Texas, and Alabama. *Tickets for all events are available for pickup at the Friends of Birmingham Botanical Gardens office or at Will Call.